Losing weight seems an uphill task to many, especially when you need to lose weight in a couple of days. And especially when you need to look good for an upcoming occasion or event. For achieving quick weight loss like ten pounds in a week, people often resort to crash dieting or spend hours sweating out in the gym. In fact, there are countless fad diets that enable you to shed pounds in a couple of days, but they have detrimental effects on your body and health, leaving you sick, hungry and nutrition deprived. 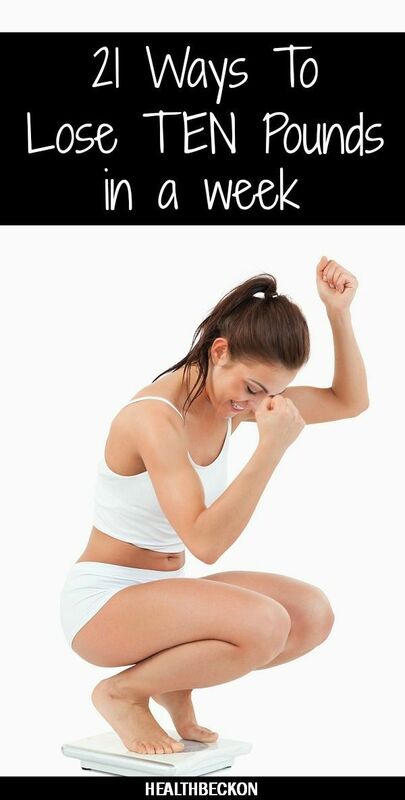 Of course, there are other painless ways to achieve this goal without dieting. All you need to do is maintain a healthy lifestyle comprising of nutrition, fitness, proper sleep and hydration. The best part is that these strategies not only enable you to lose ten pounds in a week’s time, but also help you to maintain a healthy weight in the long run. Listed below are the best effective ways you should follow strictly in your everyday regime for a healthy weight.